That the South African military is a target for thieves, including those in its ranks, is well documented but the latest “no detail” statement on fraud and corruption leaves much unsaid. Taking into account a similar posture adopted by SA National Defence Force (SANDF) Chief, General Solly Shoke, during a briefing at AFB Waterkloof last week, all that is really known is the military is doing its best to combat crime, including fraud and corruption, according to the Department of Defence (DoD). A statement this week by DoD, head of communications, Siphiwe Dlamini, indicates “a lengthy, joint investigation by military police and Defence Intelligence” saw a sting operation mounted. This, he said, resulted in the number of arrests of suspects, including a general officer. Last week Shoke said there was “no place for criminal elements in the SANDF”. He also pointed out military police were constantly investigating instances of alleged crime, including fraud and corruption. In response to a defenceWeb question on the theft of weapons from Naval Base Simon’s town and co-operation with police into gangs in Western Cape, Shoke confirmed it was happening. “And it’s not only in Western Cape; it’s happening everywhere,” he said. In October a reply to a Parliamentary question posed by Freedom Front Plus (FF+) leader and MP, Pieter Groenewald, showed there were 272 reported cases of theft from military bases and installations in the 2016 calendar year. Stolen was cash, computer equipment and weapons. The 2016/17 Department of Defence annual report has not yet been tabled in Parliament and it should contain newer crime and theft statistics. Indications are it could be tabled by mid-November. 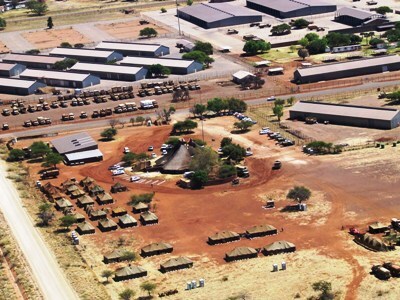 Groenewald said in October the “ongoing plundering” of defence force assets and equipment, including weapons and ammunition, was indicative of “a collapse in the SANDF management structure”. “Theft of computer equipment is also prevalent. Thieves literally plunder everything they can lay their hands on from food, batteries, petrol, alcohol, cash, bicycles, gardening equipment, camping gear, clothes, car parts, uniforms and even documents. “It is ironic that computer equipment, weapons and cash were stolen from the military police, the people supposed to protect SANDF property. “If the SANDF cannot protect its own bases and facilities from theft and plundering, one has to ask whether it will be able to protect South Africa and its inhabitants, against potential threats?” he asked. The latest round of suspects arrested, according to Dlamini, is another indication no corrupt activities by any member “no matter the rank” will be tolerated in the SANDF.